Over the past couple of months we got used to having the monthly collections introduced at the beginning of each month, with additional items being introduced the following weeks. It seems January will be a bit different - there have been no teasers or other indications so far on a new collection. This might also be due to the fact that many suits of the Nouveau Collection are still available (about 50% of it sold out already). Indochino might simply want to wait a bit till they got sold most of it and then introduce a new collection towards the end of January. I'm very curious if they will actually introduce their cardigans now or if that will take a bit longer. I'm saving my Groupon coupon for one anyway . You probably noticed it from checking the Coupon Page - we hardly have any working coupons anymore at the moment. I checked everything on January 1 and discovered that most of them expired. Quite a pity, because there used to be so many coupons around that hardly anyone bought a suit for a regular price, I guess (let alone a shirt - we pretty much got them for free with coupons). 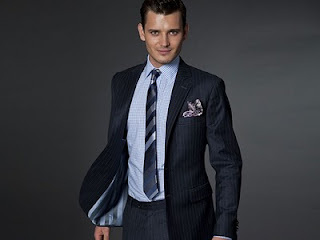 I'm wondering if this has any impact on Indochino's sales, especially as the current collection is quite a bit on the pricey side (~500$ for the new suits). Fabrics should be great though, from what I've heard so far. I assume (and I hope) that new coupons will be introduced slowly again. Before October or so Indochino didn't use Groupon, but now those Groupon codes (first 125$ value, now 150$ value) appear every other day. I thus decided to make an own section for Groupon coupons on the Coupon Page and try to update is often as possible. Unfortunately, most of those deals are only up for 24 hours. Still, I don't think I'll miss any of those deals and I'll also send out a tweet/facebook status if I hear about one. One thing to remember - those Groupon deals are great if you want to buy pants or shirts, but everything above 500$ is usually a better deal when used with a 20% off coupon (sadly, none available right now). There is actually a Groupon deal right now, but it's only valid until January 7. I'm getting the first reviews sent in, I will start putting them up on the website from next week. There is still plenty of time for everyone to participate and with some luck win the 125$ Indochino voucher. Check more details on the competition right here.